George Davis, CMT is Managing Director and Chief Technical Strategist, Fixed Income, Currencies and Commodities at RBC Capital Markets in Toronto, Canada. With over 25 years of market experience, he is responsible for RBC’s Canadian dollar forecasts as well as intermarket technical analysis research that covers the FX, fixed income and commodity asset classes. Prior to this, George was a Vice President on RBC’s spot Canadian dollar and forward foreign exchange desks in Toronto and a foreign exchange Dealer in Montreal. His technical research has been recognized via fourteen international awards in the FX, fixed income, commodity and emerging markets asset classes. George was also awarded Technical Analyst of the Year four times (2010, 2013, 2017 and 2018) by the Technical Analyst magazine and in 2016 by the Canadian Society of Technical Analysts, in addition to being inducted into the CSTA Hall of Fame in 2017. 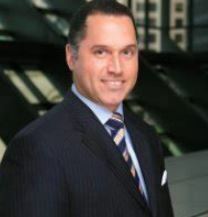 He is also a contributing author to Technical Analysis in the FX Markets, a book published in 2010 by Global Markets Media Ltd. George’s technical views on the markets are often featured in various media outlets such as the Wall Street Journal, Financial Times, Globe and Mail, CNBC and Bloomberg. George has a Bachelor of Commerce (Honours) from Concordia University with a major in Finance and minor in Marketing and he holds the Chartered Market Technician (CMT) designation. He is a Professional Member of the Canadian Society of Technical Analysts and a Member of the CMT Association. Conversations: Podcast Interview with George Davis, CMT - Alex Spiroglou sat down with George Davis, CMT to discuss his impression of the current market. George also gave us insight into his journey to becoming a technician and shared his thoughts on where the markets will go from here.